Do you want to teach your child to read but don’t know where or how to start? Does your child have reading and spelling problems? Does your child battle academically at school because too little attention is being given to his/her READING PROBLEM? Are you HOMESCHOOLING your child/children and in need of a successful reading method? A study conducted by the University of Cape Town in 2009 found that more than 67% of South African learners up till grade 4 are illiterate mostly due to poor or inadequate basic reading coaching. With the Sound Combination Reading Method the learner is taught sound combinations that empowers them to construct words phonetically AND to read them AND to pronounce them correctly. Other methods erroneously teach a child to memorize words and sentences and prevent them from reading unknown words. 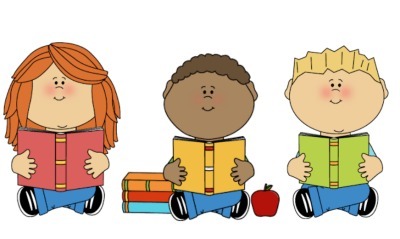 On our reading method the child is taught to read sounds combined and not to read or sound them singularly, for example “ca-t” and NOT “c-a-t”. INTERESTED IN RUNNING YOUR OWN READING CENTRE? What makes our reading centres unique to other reading centres? We take one child at a time – each child gets individual attention. Lessons are everyday, Mondays to Fridays: once or twice a week is not enough as progress will be too slow and the child will lose interest. Lessons are only 30 minutes long: with longer lessons the child will lose interest as well as concentration. What makes our method different to other methods? Some methods erroneously teach a learner to memorize words and sentences and prevent them from reading unknown words. Once a learner has gone through our reading programs, he/she can read ANYTHING and it is possible that the learner’s reading ability is superior to that of his/her comprehension. It means the learner may be able to read e.g. “Scintillate, scintillate globular vivific”, fluently without understanding it. But the chances are that he/she will understand “Twinkle, twinkle, little star”. Some methods erroneously teach a learner to sound out words singularly, e.g. c‐a‐t. Firstly, the learner’s ear cannot hear (most of the times) the word says ‘cat’ and will say e.g. ‘foot’. Secondly, this teaches the eye to read back and forth, causing a jerky eye movement and there is not a fluency with the eyes. On our reading programs the learner is taught to LOOK and READ sounds combined and not to read or sound them singularly, for example “ca‐t” and NOT “c‐a‐t”. We sell the sets enabling parents themselves to help their children at their own pace or parents can send their children for extra reading lessons to a reading centre. We are already a household name – when people hear “Sound Combination Reading” or “Die Japtrap Leesmetode”, they know it is the reading program that works! Our method has been successfully used for over 70 years already, in both schools and at home. Thousands of children have been taught to read or have been helped by using these programs and many schools are using our product. Suitable for all ages (even adults) – on average girls start from the age of 4 and boys from 5 years. When the learner struggles with a certain step, it gets repeated until he/she mastered it. Proceeding with the next step only happens when the current step has been mastered 100%. What are the advantages of this reading program? Develops a very fast speed of reading. Learn to read within a very short space of time. We are looking forward to starting our Afrikaans knowing that we have bought a quality reading system. Thank you once again and please know that the English curriculum we used was fantastic and my children would not have been able to read what they are reading now, if it weren’t for this programme. My son had hydrocephalus which affects the brain especially with reading; he now reads JT Edison cowboy books. I even have to fight with both of them to stop reading all day. He has been reading these books since he was 9 ½ years old. I really pray that Hiletje’s (daughter of Phoebe Walters) dream comes true of enabling all type of children to be able to be exposed to this programme which will develop a nation of literacy. I used this reading method on my daughter of 7 and my 14 year old daughter who has Down’s syndrome. I can assuredly testify that the kids enjoyed it and that this method WORKS! The mommy must just commit and go through the instruction booklet very carefully (this is a proven method which has been working for many years already) and viola! Contact Heidi with pleasure, she is a very professional lady with a heart for children and a PASSION for reading!